California has Sent One of its Best to Bring Healthy Hair to Washington! You can watch our salon video by clicking on the “Play Arrow” to the right. Make sure to look through my photo galleries and become acquainted with some of my work. It’s a sneak peak to the Beautiful Healthy Hair that awaits you! I recommend that you call today for your consultation, that way we can customize and personalize the best look for you. Why not pamper your hair and scalp today? In order to help me maintain the health of your hair while establishing your healthy hair regiment, I recommend a Deep Restoration Treatment along with a Trim every 6 to 8 weeks. Visit us today!!! Download our mobile app to have access to our customer loyalty program, appointment scheduling, specials, and everything else The Healthy Hair Spa offers at your fingertips! Rhonda did a wonderful job on my hair. I like how she press and curl my hair. She is the best in the north west!!! Rhonda is the absolute best when it comes to Natural hair in Washington! She is very knowledgeable about Natural hair and color. She knows how to exceed your expectations while also managing to keep your hair as healthy as it can be. She can silk press better than anyone I have personally gone to. Once she is done you will be surprised how silky and shiny it is. Your hair will have the nice "permed" affect with out the perm and extra harsh chemical's. She gave me exactly what I wanted. You will not be disappointed if you pick Rhonda as your next stylist. Rhonda is the absolute best when it comes to Natural hair in Washington! She is very knowledgeable about Natural hair and color. She knows how to exceed your expectations while also managing to keep your hair as healthy as it can be. She can silk press better than anyone I have personally gone to. Once she is done you will be surprised how silky and shiny it is. Your hair will have the nice "permed" affect with out the perm and extra harsh chemical's. She gave me exactly what I wanted. You will not be disappointed if you pick Rhonda as your next stylist. Rhonda is simply the best!! She truly cares about you and your hair and the end results. I moved from another state just to be close to her and for her to do my hair. No one compares to her. She has a beautiful soul. You are not just another client when you seat in her chair. She always make me feel beautiful even at times when I don't think so. Promise me, give her one chance to do your hair and I guarantee you will keep coming back. She is truly dedicated to making you look your best. I was going to Vegas and suddenly wanted hair! Google turned up Rhonda, and she got me in on a moment's notice. She stayed til 11pm weaving some long-haired magic into my short, wimpy hair. Very nice lady, as well. Thank you! My favorite stylist. She provides great service. The establishment is warm, clean and friendly. The owner/stylist is knowledgeable in hair, hair care, and products. If your hair is damaged she will help to restore it back to its healthy state. She is one of the most honest hairstylist I have come across within a year, she is truly gifted and by the way I love my hair!! Thank you and I will see you soon! Rhonda did a wonderful job on my little girls hair. She is so professional, fun, loving and so caring. She loves what she dose and goes above and beyond to give you want you want and dose it were it dose not damage your hair but helps it be more healthy. Rhonda has been my stylist for 4 years now and she became more than just my stylist but became my friend. She is amazingly skilled. Whatever you need, she can do. She is definitely worth checking out. Enjoy!!! I have finally found my stylist!! RHONDA is the BEST Stylist I've encountered, and her shop is BEAUTIFUL! Rhonda's expertise, patience, and customer service is unparalleled. There was no delay with getting in the chair for my assigned appointment time. Her professionalism is second to none. The shop itself is very tasteful, inviting, and warm. I am extremely picky about my hair, and until meeting Rhonda, totally unwilling to try anything different. I left with a full weave, and color! It looks very natural, and I'm complimented daily! Much to my surprise, my boyfriend even said, "Whoa, Babe! Your hair looks waaaay better than that other one!" What a boost to my already inflated confidence! I had been traveling to Atlanta for the last few years just to get my hair done because I could find no one suitable in this area. Well, now, I have found Rhonda! And, I consider her my own personal Stylist! Thank you, Rhonda! Rhonda was absolutely amazing! It was my first experience ever having my hair professionally done and she made it more than I could ask for. She has such an inviting presence and she loves her craft! She takes her time and gives you and your hair her undivided attention. I am beyond happy with my finished looked! I highly recommend Rhonda and the Healthy Hair Spa to anyone!!! She is simply amazing, my hair was so dry and brittle. After catering to my hair, it was so soft and bouncy and had a nice shine and this was done before putting in a beautiful full weave in. She definitely knows hair and makes you feel comfortable. You won't be disappointed! 1st of all....Rhonda is amazing...AMAZIIIING. She's a Good listener, gives you great advise on how to improve your hair's Health and maintain it. (You don't get that from a lot of stylist) and she keeps you engaged in every process she's doing...before and after. I was very nerves coz it was my 1st time , but the ambiance and the smiles that greet you when you come in makes you feel more than welcomed. The salon has a welcoming home feeling that makes you feel more relaxed. It's a very clean and cozy environment. The staff....oh my goodness! superb friendly and kind staff, they make you feel like you known them for years 😂 My hair looks and feels so amazing 😍. Its all I wanted and some more. Am more than satisfied with the outcome. Honestly it's the Best customer service/Hairdo I have ever received and I personally, highly recommend visiting The Healthy Hair Spa, you won't regret it. Thank you Rhonda and your Team you guys were simply awesome and am happy with what y'all did for me and my hair. Stay blessed. 1st of all....Rhonda is amazing...AMAZIIIING. She's a Good listener, gives you great advise on how to improve your hair's Health and maintain it. (You don't get that from a lot of stylist) and she keeps you engaged in every process she's doing...before and after. I was very nerves coz it was my 1st time , but the ambiance and the smiles that greet you when you come in makes you feel more than welcomed. The salon has a welcoming home feeling that makes you feel more relaxed. It's a very clean and cozy environment. The staff....oh my goodness! superb friendly and kind staff, they make you feel like you known them for years 😂 My hair looks and feels so amazing 😍. Its all I wanted and some more. Am more than satisfied with the outcome. 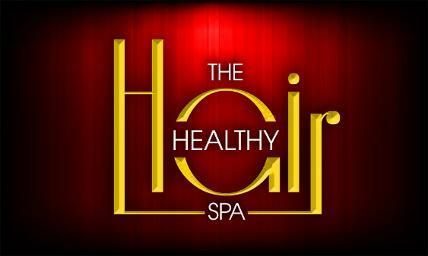 Honestly it's the Best customer service/Hairdo I have ever received and I personally, highly recommend visiting The Healthy Hair Spa, you won't regret it. Thank you Rhonda and your Team you guys were simply awesome and am happy with what y'all did for me and my hair. Stay blessed. Wonderful job she does...not only that but takes her time.I felt great after leaving her chair and my hair feels so alive now! Everyone should check her out..best place I have been to outta everyone who has ever done my hair! Tacoma, Lakewood, University Place, Joint Base Lewis-McChord, Federal Way, Olympia, Lacey, Seattle, Puyallup, Auburn, Sea-Tac, Tukwila, Des Moines, Olympia, Fife and the surrounding Puget Sound area.